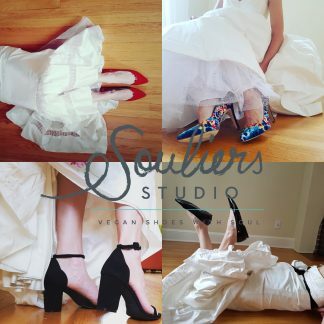 SOULiers Studio sells beautiful women’s vegan and eco-conscious luxury shoes with a dedication to ethical fashion. Free shipping across Canada. What does the Bridal Shower of your dreams look like? We’ve all been to bridal showers with great food and great company but forced to play those dreaded games; you swear you’ll never do that for your shower but, what ARE you going to do? How about a Style Party? Where the focus is celebrating your signature style with fashion and glamour. Let your inner fashionista loose and enjoy a bridal shower that is chic & stylish- just like you! We focus on fashion, beauty and trends. As your personal style concierge my goal is to customize activities for your event and show off your signature style, while engaging your guests with some fabulous ways to stay chic! SHOP WITH SHONA caters to the bride-to-be who would like a unique experience at her bridal shower, bachelorette party and stagette. Glamour Me Studios Inc has the best wedding photographers NYC has to offer. We are proud to be considered New York City’s only complete wedding center. We offer everything from brilliant photos to creative favors, and everything in between. There is no reason to go anywhere else for any of your wedding needs. Our company motto is “If you can’t afford us, you just can’t afford it.” We simply offer the best NYC wedding photography and video services.